Nobody would disagree that the current economic conditions call for South Africans from every walk of life to pull together to reignite economic growth for a better life for all. Critics, however, would point out that in many instances, the government has not always been helpful in creating an environment conducive to prosperity. One case that certainly stands out in this regard is the tourism industry. Few would deny that government intervention, in the form of the revised travel documentation requirements for people travelling to South Africa with children, has been nothing short of catastrophic. However, the silver lining on that particular cloud is that now, under the leadership of President Cyril Ramaphosa, the government is fully cognisant of the benefits of a thriving tourism industry—and ministers are pulling in the same direction. Indeed, President Ramaphosa was recently hailed as a “champion of tourism” by Gloria Guevara, the President and CEO of the World Travel & Tourism Council (WTTC): “In his State of the Nation address in February 2018, President Ramaphosa not only mentioned the ‘incredible opportunities’ of travel and tourism, he also set a powerful target to double the number of people directly employed in our sector from 700 000 to 1.4-million. “Travel and tourism is, without a doubt, South Africa’s greatest engine for the creation of jobs and the alleviation of poverty. "It contributes to social equality, encourages the integration of women in the workplace, and enables economic self-reliance. It provides employment in parts of the country where other jobs may not exist and generate a sense of self-worth." One of the pillars of the travel and tourism sector is, of course, the aviation industry. Speaking at the BARSA Aviation Summit 2019, held in Johannesburg on 28 February, the Honourable Deputy Minister of Transport, Sindisiwe Chikunga, outlined the importance of this vital sector and underscored the government’s commitment to transforming aviation into an engine for economic growth, skills development and job creation. Citing Oxford Economics, Minister Chikunga stated that 12 million passengers and US$18.8-billion worth of goods were carried by air every day in 2018. The total value of goods transported by air is a staggering US$6 trillion, or 35% of all international trade, and 10 million women and men are directly employed to build aircraft and prepare, fly and land flights. Aviation jobs are 4.4 times more productive than other jobs, opening markets and enabling knowledge. In Africa, by 2036, air transport and the tourism it facilitates will support 9.8-million jobs (60% more than in 2016) and contribute US$159 billion to the gross domestic product (GDP) (184% up from 2016). In South Africa, civil air transport contributes R154 billion to the GDP (3.5 %). 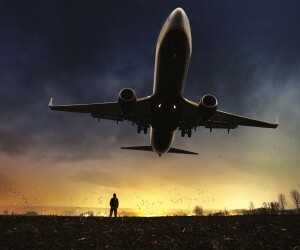 “We are thus compelled to consider aviation as a strategic asset, forcing us to continue with the development of infrastructure, build human capital and skills for the future, and improve our connectivity and open skies,” said Chikunga. “We must be aware that tourism is an important component of economic stimulation and recovery, but it depends on an efficient aviation sector. This encompasses the development and sustainability of both commercial and general aviation,” she added. For this reason, she added, “It becomes imperative for states and airlines, in particular, to invest more in training as well as re-skilling of personnel to ensure alignment with new technologies. It is thus essential that skills developed are viewed from a perspective of promoting the next generation of aviation professionals. “In order to succeed in the 21st century, everyone needs to collaborate and connect digitally. The curriculum needs to be market-driven and resources made available for students and trainees to fulfil all qualification requirements. The fast-changing job market may render many skills irrelevant if education systems are not aligned to the new technological advances. By 2037, South Africa will need 3 589 pilots, 887 air traffic controllers and 4 053 ground personnel. Minister Chikunga challenged industry leaders to ask themselves what their organisations are doing to ensure the development of skills, including the gender and age diversity that must be entailed. “One of the challenges in aviation is the cost of training aviators in general. In this regard, both industry and the government need to work together to fund aviation training through instruments like bursaries, etc.,” she said. 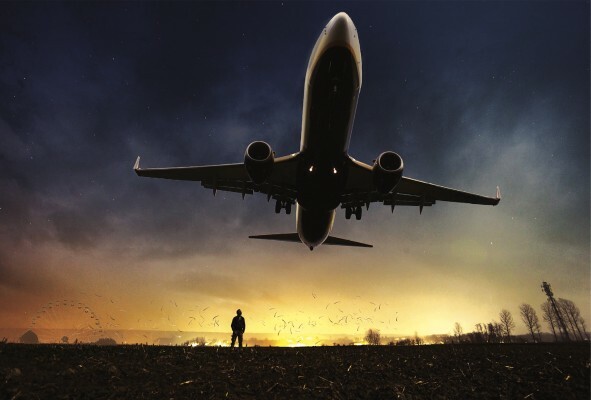 “The DOT and its aviation entities, SACAA, ATNS and ACSA fund students ranging from pilots and aeronautical engineers to mechanical engineers; however, given the demand, the private sector is asked to assist in this effort. “We also need engagements aimed at the establishment of regional aviation academies to sustainably educate and train the next generation of aviation professionals to exploit the opportunities presented by the Fourth Industrial Revolution (4IR). South Africa must lead in this area,” she added. “The aviation sector needs to build aviation leaders of the 21st century who possess knowledge of a dynamic sector. E-learning solutions should be considered to increase the accessibility of aviation careers. Outreach programmes should be run across all sectors of society in order to demystify aviation as a preserve of the elite. “Transformation in its totality remains the most critical goal for the sector,” she concluded.